I could not be more excited to announce that I have been nominated for the Blogger Recognition Award. I would like to thank Kristenne of Misis Blog for the nomination. It means a lot to me to be recognised and honoured in this way. Misis Blog chronicles Kristenne’s journey through motherhood, married life and being a work-at-home mum. Make sure you check out her mummy and wife adventures. 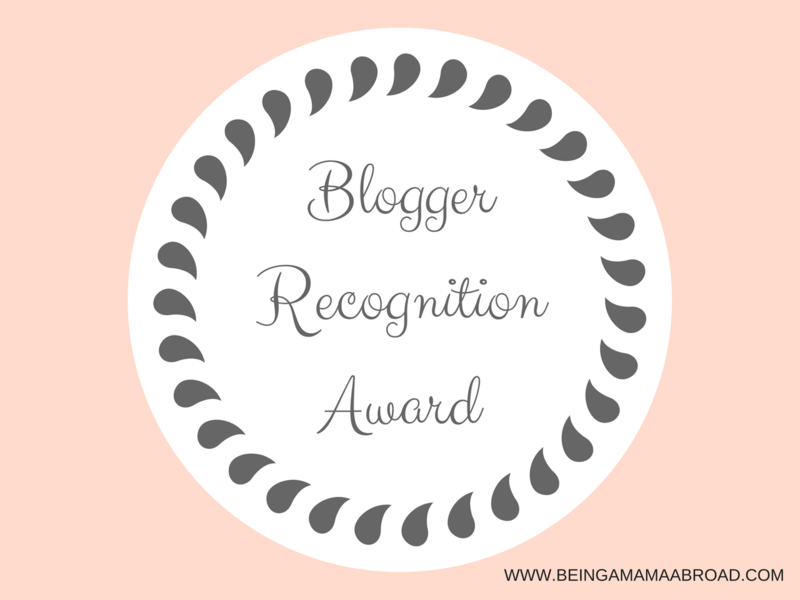 So what exactly is the Blogger Recognition Award? It’s an award given by bloggers to fellow bloggers to reward their hard work. Let me tell you, it feels amazing to earn the recognition of the blogging community. How Being A Mama Abroad started? I was playing with the thought of starting a blog about motherhood while I was pregnant. But then, you know, those very hectic first few months of my baby’s life and some other circumstances caused some delays in this new endeavour. When my little one was eight months old, I finally plucked up the courage and threw myself into this amazing blogging community. But before that, I was thinking really hard about the direction I would like my blog to take. Parenting and motherhood is a broad subject, so I knew it had to be more specific. Then I thought, why not connecting the parenting side with my experience of living abroad. And that’s how Being A Mama Abroad was born. So, while I do blog about general parenting stuff, I also like to write about what it’s like to have a baby in a foreign land. If feels a bit strange to give advice to new bloggers. 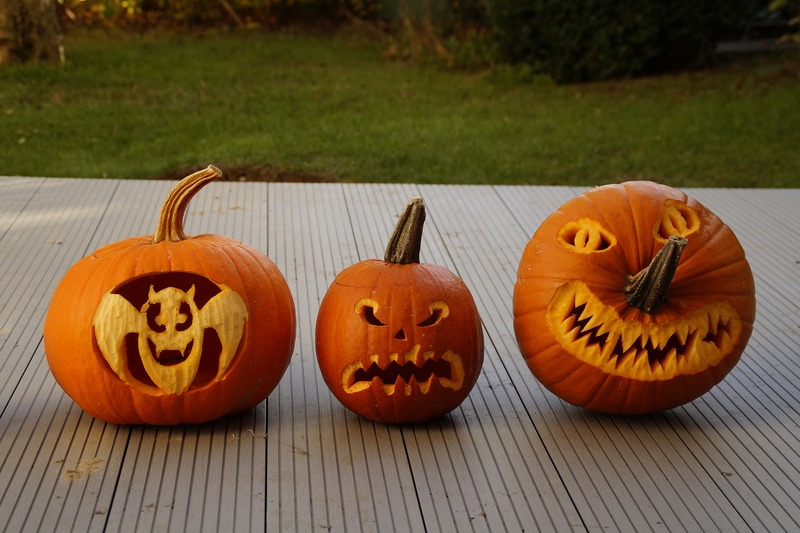 I’m not a pro, in fact, I still consider myself to be a newbie in this blogging world. But I’ve learned a thing or two since I started. So here is my bit of advice. Set goals and be organised – blogging is fun but it can also be overwhelming. It’s not only about writing a post, hitting the publish button and that’s it. There is so much more to it; SEO, keywords, social media and so on. If you are not organised, it can get a bit too much at times. You need to have a clear vision and know what you want to achieve with your blog. Be very specific when setting your goals. Do you want to grow your social media following? By when and by how much? If you have specific goals, then you can take specific actions to achieve them. Be persistent – you won’t see the results you are hoping for straight away. 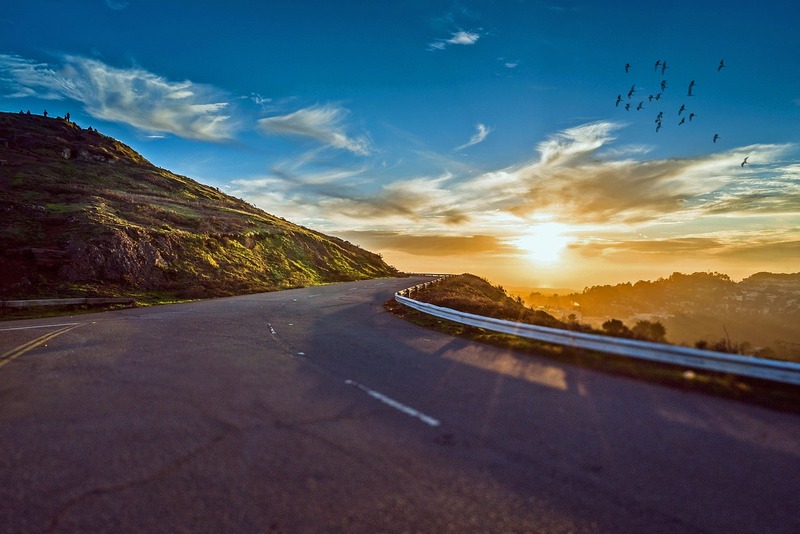 In fact, it may take months and months before you see an increase in traffic. Do not give up too early. If you persist, create quality content, engage with your audience and build good relations with fellow bloggers, you will soon see some results. There were so many blogs I was considering to nominate but I could only pick 15, so here are my favourites. Keep up the good work fellow bloggers and once again a huge Thank You to Kristenne of Misis Blog for the nomination! So happy I was picked! What a blessing. Thank you and will be writing my post soon.